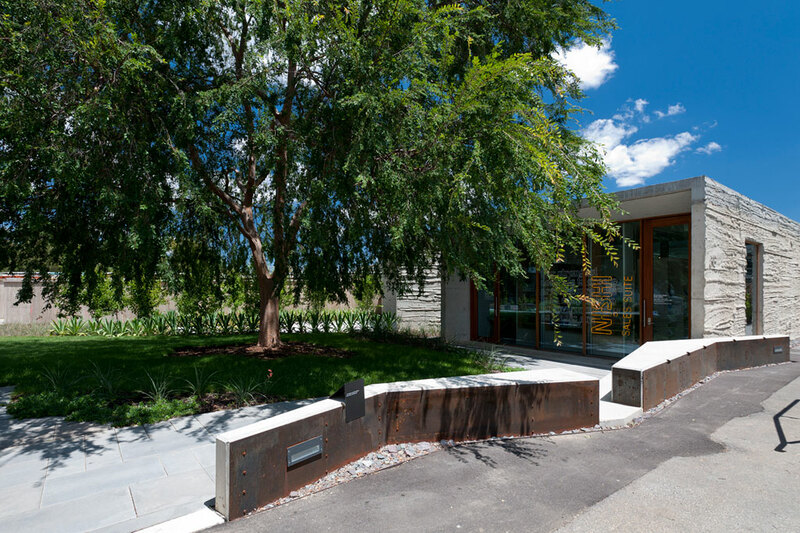 The Nishi Sales Suite and Gallery has been designed for the Molonglo Group, in conjunction with OCULUS, as a permanent art gallery and exhibition space. 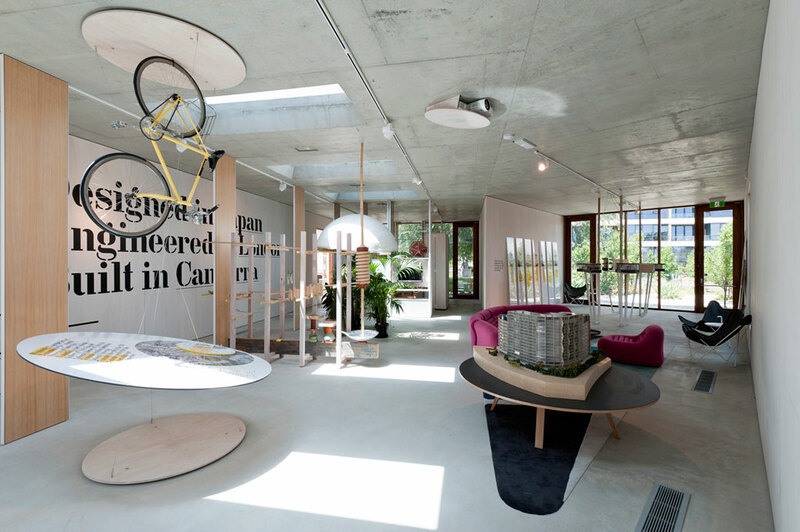 The first incarnation is a sales suite for Nishi Apartments in New Acton, Canberra. 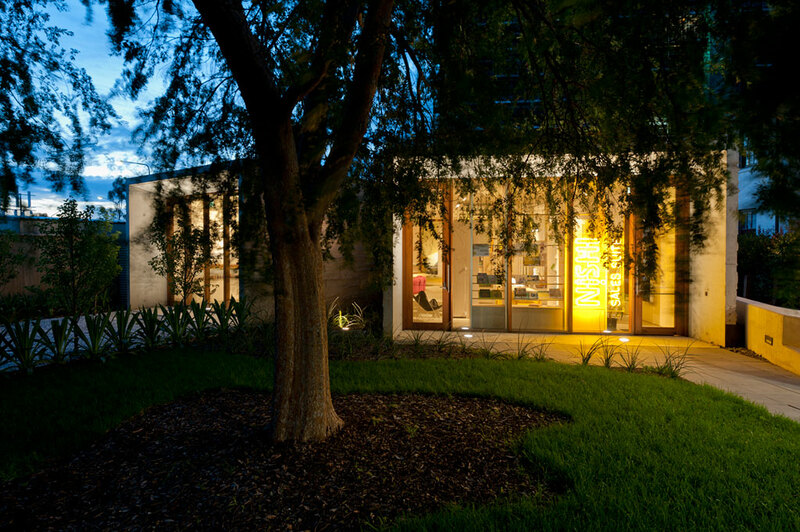 The Gallery was awarded a commendation by the ACT Australian Institute of Architects in 2012 for small projects. 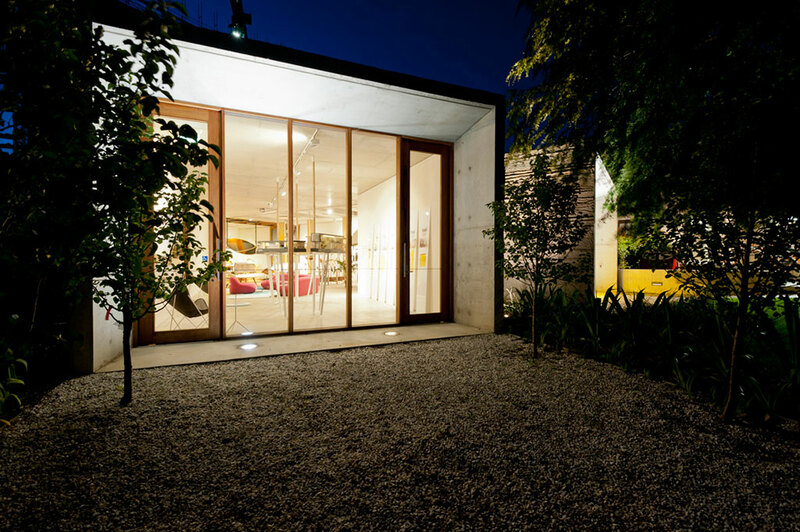 The client brief was for an ‘explosion’ in the landscape, something raw, that would surprise and engage the local community. 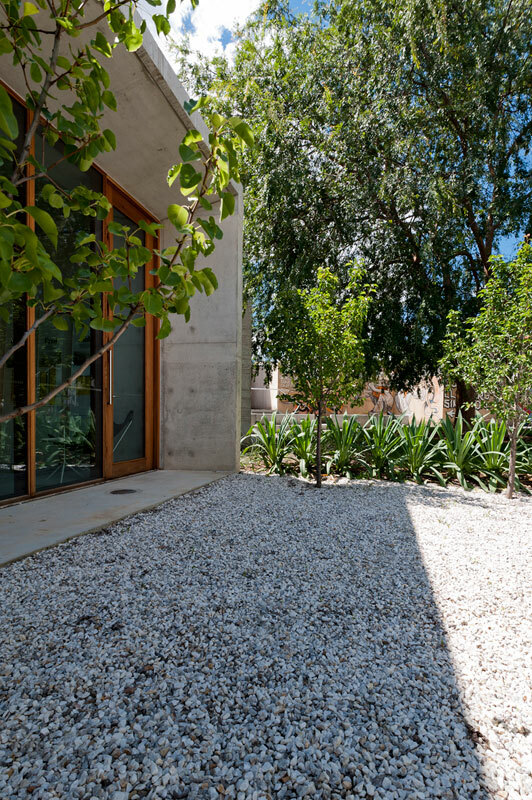 The gallery layout has been designed to be as flexible as possible, anticipating different and changing future uses such as an art gallery, space for an artist in residence or a community function/exhibition pavilion. 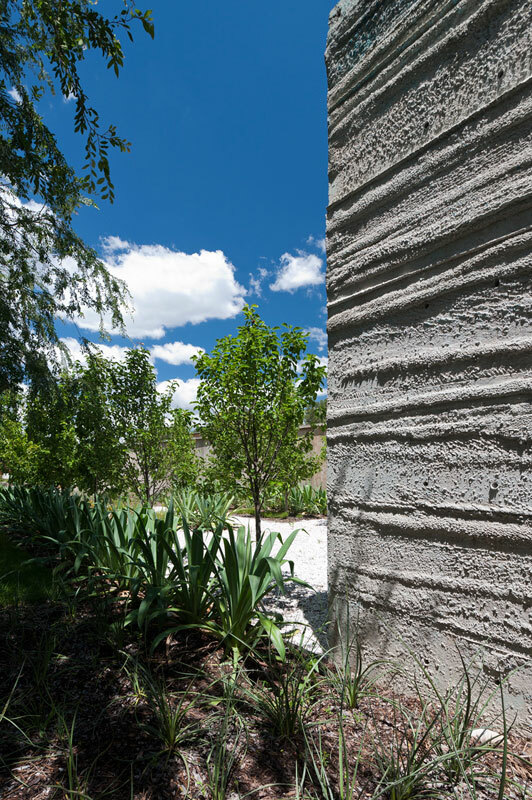 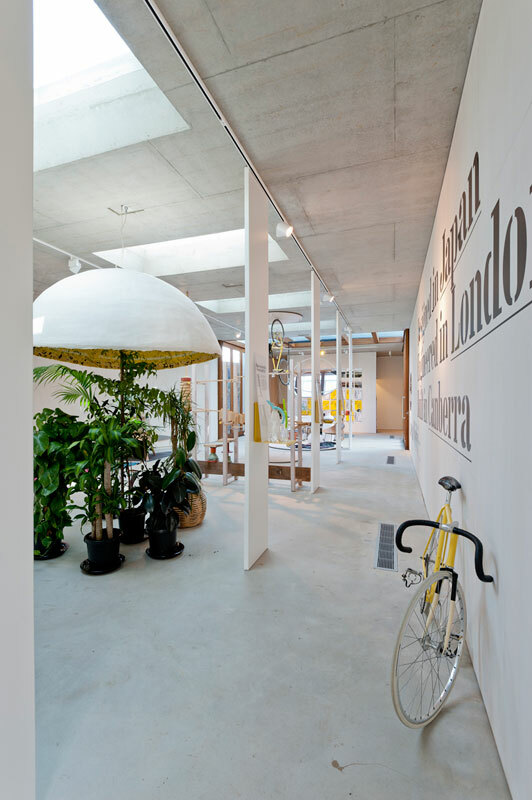 The gallery has a coarse textured in-situ concrete shell that was extensively researched, developed, prototyped and implemented by hungerford+edmunds and OCULUS using a system of acetone etched polystyrene formwork. 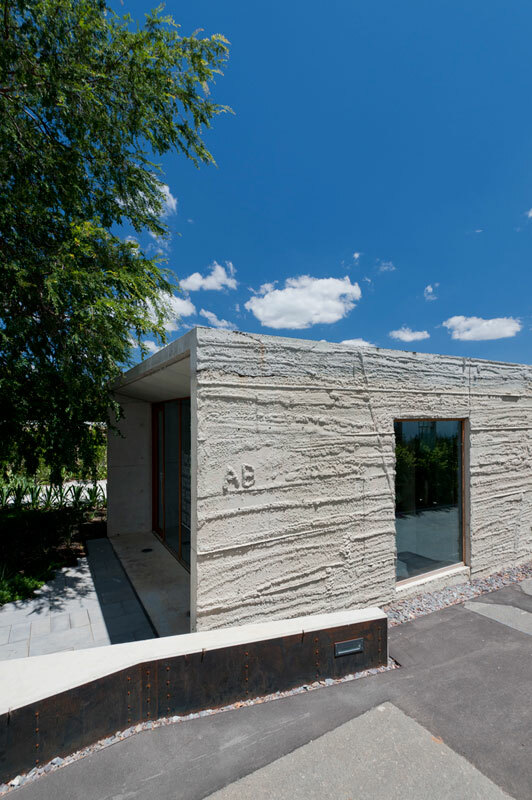 Providing a hard edge to Kendall Lane, the intersecting forms of the building provide dual primary apertures which relate to the surrounding landscape and sculpture. 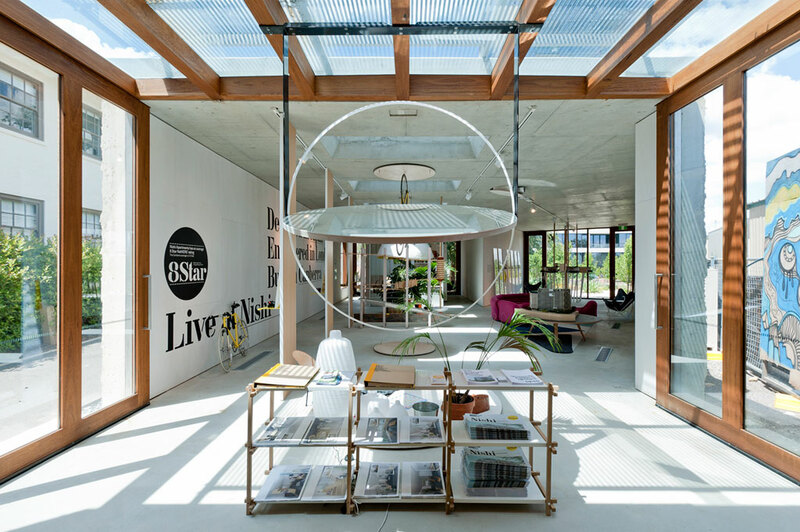 The environmentally-sustainable design has high thermal mass; double glazed timber window joinery; an air tight and highly insulated envelope; natural ventilation; a photovoltaic system visible from the gallery space as sun-shading; and rainwater-harvesting.